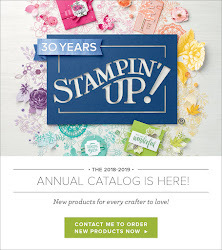 Craftier Creations: Catalogs are Shipping! So...the new Annual Catalog goes live on June 1st. You should be receiving your new 2018/2019 Catalog within the week. How do you get a catalog? You have several options. If you have placed a $50.00 order within the last year you will automatically receive one. 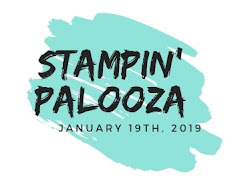 If you have signed up for the June 9th Stampin' Palooza you will receive one at the event. Contact me and I will send one out to you. 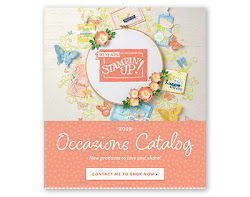 We have so many new and exciting products in this catalog. Not only do we have the new 2018-2019 in colors, but Stampin' Up did a whole new color make over. We have a total of 19 new colors. How exciting is that. So, let me know if you need a catalog.